The Naples Collection of Indoor/outdoor rugs feature stylish and eclectic patterns in refreshing new colors and motifs. The flat woven rugs are power loomed using soft yet durable 100% Olefin yarns that are UV stabilized to resist fading. The rugs are also stain resistant and very easy to care for. Simply wash of with a garden hose! The precision Belgian looms create interesting surface texture similar to natural sisal rugs but Naples is super soft underfoot, will not shed fiber, and will provide years of enjoyment indoors or out. 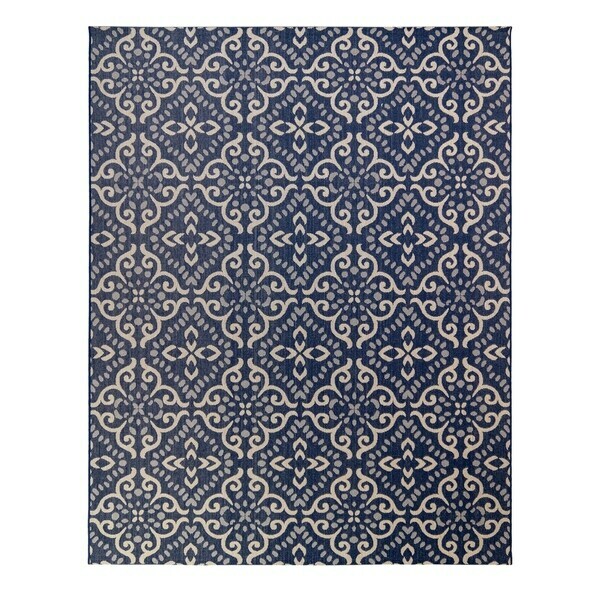 Rug Squared Jupiter Indoor/Outdoor Navy Rug - 7'10" x 10'6"
Carson Carrington Akersberga Lattice Navy/Ivory Indoor-Outdoor Area Rug - 7'10" x 10'10"